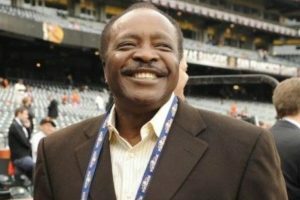 Born in Texas and raised in Oakland, California, Joe Morgan signed with the Houston Colt .45s in 1962. 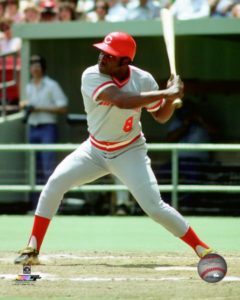 He emerged as one of the top players in baseball in the 1970s, winning consecutive NL MVP Awards and World Series championships as a member of the Cincinnati Reds. 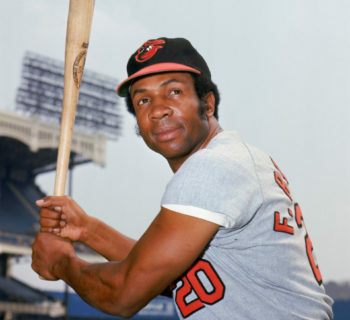 Morgan became a broadcaster after his playing career ended in 1984, and was elected to the Baseball Hall of Fame in 1990. 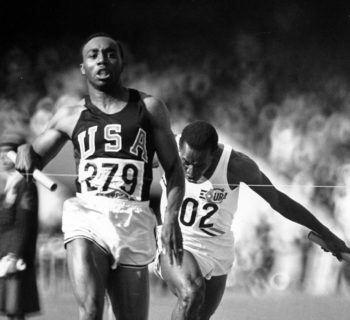 Joe Leonard Morgan was born on September 19, 1943, in Bonham, Texas. The oldest of Ollie and Leonard Morgan's six children, he moved with his family to Oakland, California, at age 5. 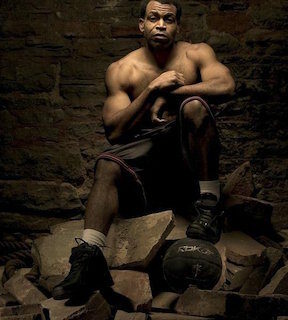 Growing up in an area renowned for its athletic talent, Morgan kept busy playing football, basketball and baseball with his friends. He played organized baseball for the first time at age 13 and became a star of the Castlemont High School team, but was ignored by pro scouts due to his diminutive size. 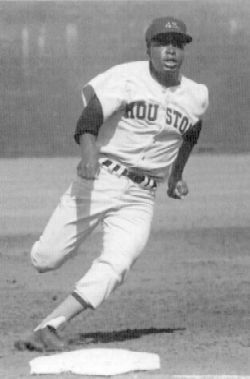 After enrolling at Oakland City College, Morgan finally caught the attention of the baseball scouting community with his performance, and he signed with the Houston Colt .45s in late 1962. Morgan briefly surfaced in the Majors at the end of the 1963 and '64 seasons, before establishing himself as the starting second baseman for the renamed Houston Astros in 1965. He drew a National League-leading 97 walks and scored 100 runs, finishing runner-up for the Rookie of the Year Award. 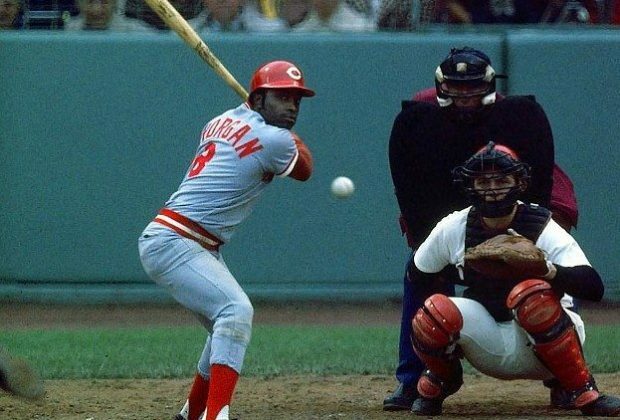 Morgan earned two All-Star selections during his early years in Houston, but he truly emerged as one of the top players in baseball following a trade to the Cincinnati Reds in November 1971. He led the NL in runs, walks and on-base percentage in 1972, helping the Reds reach the World Series. The following year, he crushed 26 home runs, stole 67 bases and won the first of five consecutive Gold Glove Awards. In 1975, Cincinnati won an incredible 108 games thanks to a lineup fueled by stars Pete Rose and Johnny Bench, but it was Morgan who earned NL MVP honors after posting career highs with his .327 average, 132 walks and .466 on-base percentage. That October, Morgan delivered the winning hits in Games 3 and 7 of the World Series to propel Cincinnati to a memorable triumph over the Boston Red Sox. 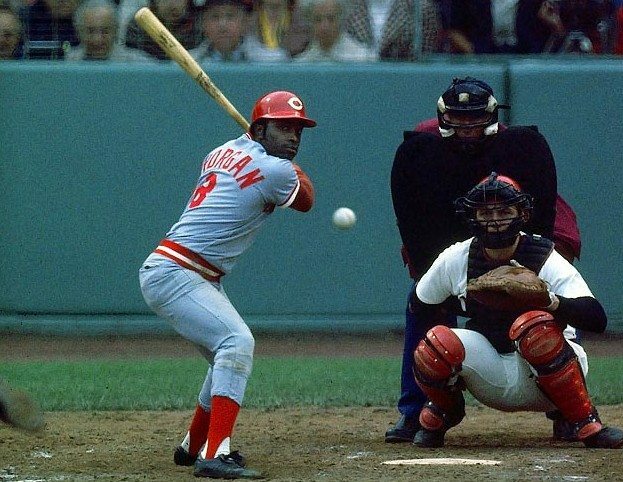 Morgan was at his best in 1976, setting career highs with 27 homers, 111 RBIs and a .576 slugging percentage to win his second straight NL MVP Award. The "Big Red Machine" was running at peak capacity too, capping the season with a four-game sweep of the New York Yankees in the World Series. 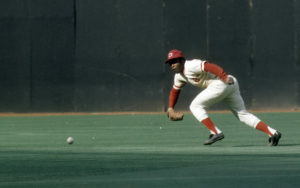 However, both Morgan and the team diminished as the decade progressed, with the veteran second baseman earning the last of his 10 All-Star selections in 1979. Morgan returned to Houston in 1980, followed by a two-year stint with the San Francisco Giants. He enjoyed one final hurrah with the 1983 Philadelphia Phillies "Wheeze Kids," homering twice in a World Series loss to the Baltimore Orioles, before wrapping up his 22-year big league career in 1984 with the Oakland A's. 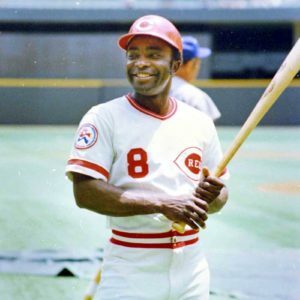 At the time, his 1,865 walks represented the third-highest total in Major League history, while his 689 steals ranked eighth. Morgan became a broadcaster for the Reds in 1985, before moving to the Giants booth for nine seasons. He also called games for ABC and NBC, and was featured on ESPN's Sunday Night Baseball for 21 years. The longtime star was honored for his outstanding career with his induction into the Baseball Hall of Fame in 1990. He has also been lauded by noted baseball statistics guru Bill James, who named Morgan the best second baseman of all time in The New Bill James Historical Baseball Abstract. Morgan serves as a special adviser to the Reds organization and a vice chairman on the Hall of Fame board of directors. He has also owned several businesses, including a car dealership, a beer distributorship and multiple Wendy's restaurants.